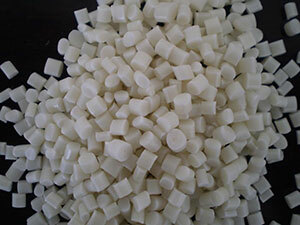 ABS is commonly known as acrylonitrile butadiene styrene and is a copolymer of three monomers of acrylonitrile, butadiene and styrene. Due to the different ratios of the three monomers, it has different properties and melting temperatures. If the ABS with flow performance is mixed with other plastics or additives, the use and properties of ABS will be expanded, such as impact grade, heat resistance, flame retardant grade, transparent grade, enhanced grade, electroplating grade, etc. The fluidity of ABS is between PS and PC. Its fluidity is related to injection temperature and pressure. 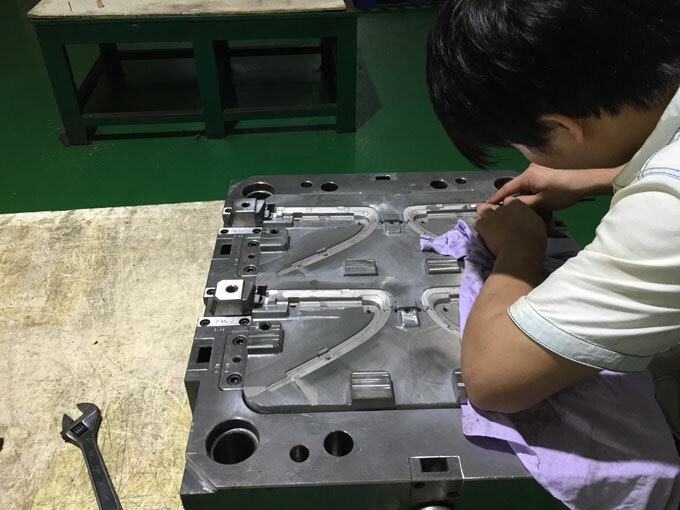 If the influence of injection pressure is slightly larger, the high injection pressure is often used when injection moulding to reduce the melt viscosity and improve the filling performance. 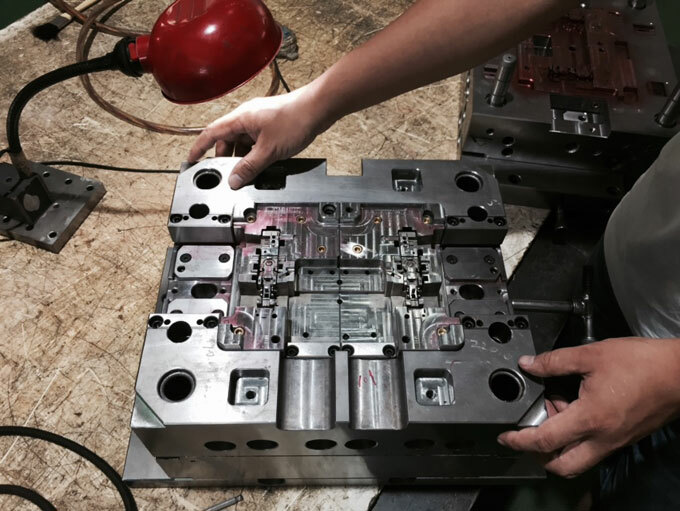 We can use injection mould made by ACO Mold, and the mould temperature can be set to 60-65 °C. The runner has a diameter of 6-8 mm. The gate is about 3mm wide and has the same thickness as the injection moulded part. The gate length is less than 1mm. The vent hole is 4-6mm wide and 0.025-0.05mm thick. The water absorption of ABS is about 0.2%-0.8%. For general grade ABS, it is baked in an oven at 80-85 ° C for 2-4 hours or 80 ° C for 1-2 hours in a drying hopper before processing. For the heat-resistant grade ABS containing PC component, the drying temperature is appropriately adjusted to 100 ° C, and the specific drying time can be determined by air extrusion. The proportion of recycled materials shouldn’t exceed 30%, and the plating grad ABS can’t use recycled materials. The general standard injection moulding machine can be used (the screw length to diameter ratio is 20:1, the compression ratio is greater than 2, and the injection pressure is greater than 1500 bar). If the master batch is used or the appearance of moulded product has high requirement, a small diameter screw can be used. The clamping force is determined according to 4700-6200t/m2, which depends on the plastic grade and product requirements. For products with high surface requirements, higher melt temperatures and mould temperatures can be used. The injection speed of fire prevention level should be slow and the heat resistance level should be fast. 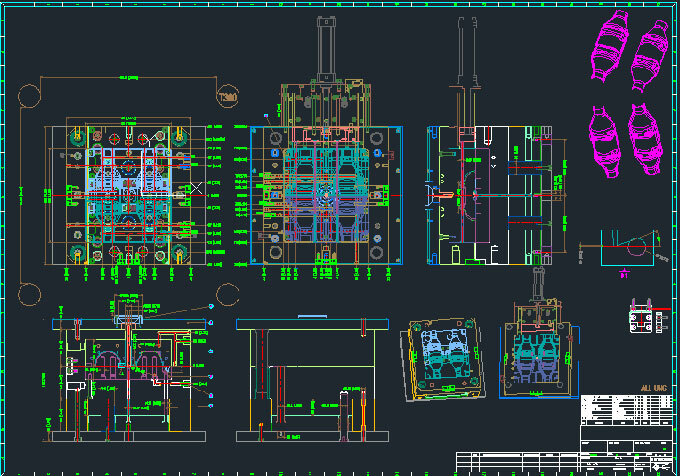 If the surface requirement of product is high, the injection speed of high speed and multi-stage injection moulding can be used to control. In general, the lower the back pressure, the better. The commonly used back pressure is 5 bars, and the coloring material needs a higher back pressure to make the color mixing uniform. At the temperature of 265 ° C, the residence time of ABS in the melt cylinder can’t exceed 5-6 minutes at most. If the machine needs to be shut down, the setting temperature should be as low as 100 °C, and then the general-purpose ABS should be used to clean the melt cylinder. The cleaned mixture should be placed in cold water to prevent further decomposition. Some ABS products have no problem when they are released from the mould. After a while, there will be discoloration. This may be caused by overheating or excessive residence time of the plastic in the melt cylinder. Generally, ABS products don't need post-treatment. Only electroplated grade products need to be baked (70-80 ° C, 2-4 hours) to passivate the surface marks, but the products to be electroplated can't use the release agent, and the injection moulded parts should be packaged immediately after removal. There are several grades of ABS (especially flame retardant grades). After plasticizing, the melt has a strong adhesion to the screw surface and will decompose after a long time. When the above situation occurs, the screw homogenization section and the compression pull-out wiping are required, and the screw is periodically cleaned by PS or the like.